Frankish Empire, 802. Saracen knight Ruggiero is torn between love and honor. 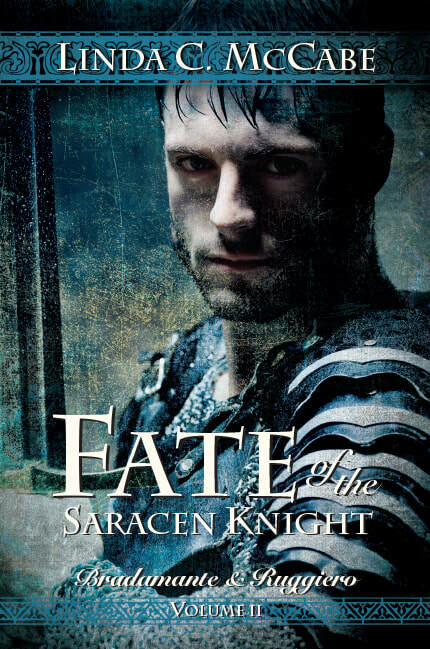 Though he vowed to convert and marry the Christian warrior Bradamante, he refuses to back out of his pledged service — even if that means returning to war against the woman he loves. But if he's not able to secure release from his oaths, he knows he'll lose her forever…. Here are links to order the ebook and the trade paperback.